Driving School can be used by Driving School Owners, Managers, Operators and Independent Instructors. Keep track of lessons and finances for all your instructors with one complete software system. Keeps all of your customer information and schedules organized so you can view them on a calendar and make quick changes at any time. You can select the desired object and drag it down to the end time required using the mouse, now you can quickly move jobs from one employee or team to another. 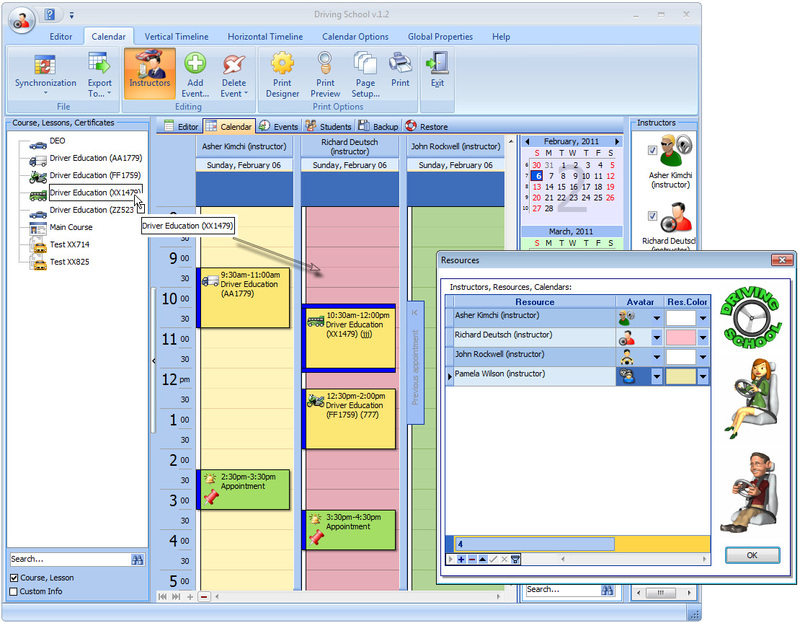 This modern and extremely handy program makes schedule management a real pleasure. It allows any specialist to create a profile to run a personal schedule. You can store unlimited number of students. Maintain detailed information about your students like address, phones, email and much more. The calendar has an automatic search option and auto-completion of information about a student if it has ever been entered into the database. For more convenience, there are different viewing modes: calendar with a vertical or horizontal timeline or a table-like one. With this powerful feature you can organize your instructors schedule, Don’t overbook appointments ever again. You can set the Appointments book to view appointments by week, day or month. Organized by Instructors for easy visualization of their week schedule. No more wondering around to check when you have an available slot! You can also drag and drop the objects to appropriate time slots; it makes setting appointments extremely easy and convenient. The software supports most of the formats, including HTML. 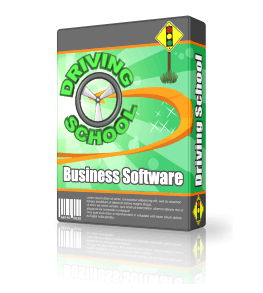 What is important, the data from Driving School can be exported to many different formats, like iCalendar, MS Outlook, PDF, XML, HTML, XLS and TXT. You can view the information about payments, daily income for any day at any moment when you need it. You can keep records of all the certificates. The program has a built-in Print Designer, which offers a variety of original templates and options to make a fine and clear printout of a schedule.